The dwarf Otherworld race of Irish, Scottish and Manx mythology and folklore. The Lucharacháin are a diminutive race of supernaturally-gifted people found in the indigenous literary and folkloric traditions of Ireland, Scotland and the Isle of Man whose origin in native Gaelic belief are unclear. They rarely featured in the earliest myths of the Gaelic nations and only latterly rose to prominence. However their influence was to grow, albeit greatly altered, in Irish and Scottish folklore and they can still to be found in modern mainstream and genre books, comics, graphic novels, television series, movies and artworks through the phenomena of the Hiberno-English Leprechaun and the Scots-English Brownie. The earliest appearance of this dwarf-like people is to be found in an isolated 8th century text recording the adventures of Fearghas mac Léide where they are called the Abhaic (singular Abhac). This word is derived from the same Irish stem that gives abha, abhainn “river”, and is closely associated with both water and the sea. For modern scholars this suggests that Classical legends of water sprites and diminutive races, the Pygmies of Greek myth in particular, contributed to the creation and development of a dwarven race in Gaelic tradition. The Abhaic were later associated with the Fomhóraigh, no doubt due to the aquatic nature attributed to both and a shared Old Testament ancestry claimed by some Biblically-influenced Irish texts, and were originally thought to live beneath lakes or the sea (that is, in the Otherworld). This gave them something of a capricious or ambivalent air and in contrast to the solitary Little People of 19th and 20th folklore the earliest tales portrayed the them as living in populous communities much like those to be found in early Irish society, with their own lords and kings (like the Tuatha Dé Danann). One alternative collective title for them in the 8th century tale was the Tuatha Luachra “Peoples of Luachair (Peoples of the Little, Small Folk or the Rushland)” and their home was called Loch Luachra “Lake of Luachair (Lake of the Little, Small Folk or the Rushland)”. However it is clear that the early Christian scribes struggled to find a place for the Abhaic in the context of the accepted literary milieu they had created with pre-Christian religious beliefs featuring the likes of the Tuatha Dé Danann, Aos Sí and Fomhóraigh, and their stories remained unpopular until the post-Medieval period. When they did reappear in the written record the literary name Abhaic had been displaced by a substitute folk-name, the Lucharacháin, which derived from an older regional name Luchorpáin (which also gives the more popular if latterly vulgarised modern word Leipreacháin “Leprechauns”). This was almost certainly a compound of the Irish words lú “little, small” and corp, corpan “body” (the latter borrowed from Latin corpus “body”) and this became the preferred name for the “Little People”. In the Late Middle Ages concepts shaping the image of the Lucharacháin mainly came from Britain and the Continent and the various legends of “dwarfs” and “dwarf communities” shaped by the interaction of Celtic, Germanic and Classical myths in Medieval European fairy-lore. 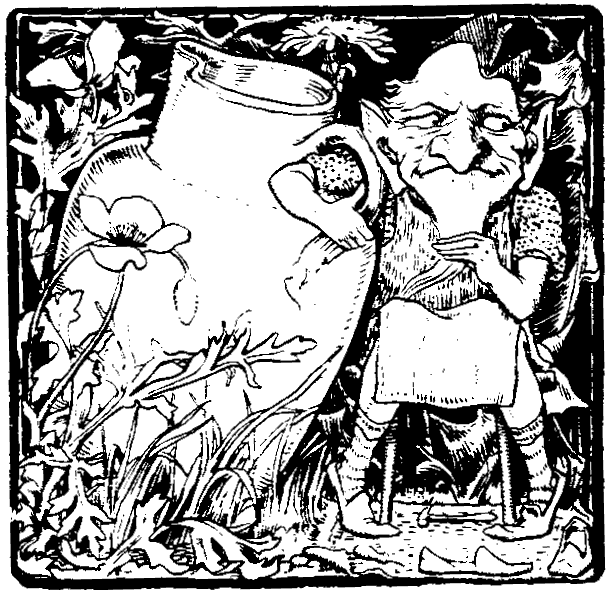 But the modern popularity of the legend of the “Irish Little People” is partly the result of a separate development in North America where the Irish Lucharachán mixed with English, Germanic and Scandinavian tales of dwarfs, elves and goblins to produce the much-changed Irish-American figure of the “Leprechaun” (an anglicised version of the regional term Leipreachán carried by bilingual or anglophone immigrants from Ireland). This in turn filtered back to Ireland in the late 19th and 20th centuries, combining with the already existing lore of the “Little People”. Unlike the peoples and kingdoms of the earliest myths they now took on a more lonesome (and at times sinister) profile and became associated with magic, shoe-making, metal craft and ancient hidden riches. This has led to considerable debate between those who see the original references in Irish and Scottish traditions to diminutive races as being of foreign origin and those who see them as being an indigenous concept under heavy external influences. In favour of the former view are the entirely peripheral and rare occurrences of the tales of the Little People in Irish and Scottish mythology, and the lack of a purely native name (excluding Abhaic). Those who favour an indigenous origin point to the relatively early first appearance of the Little People in Irish myth, before the Germanic “dwarf” influences of English and Scandinavian legend could have come into play, and the lack of an exact Classical comparison. On the other hand, the popular image of the contemporary “Leprechaun”, largely shaped outside of Ireland, is barely Irish at all. One very unfortunate effect of the popularity of the Leipreacháin or Leprechauns in popular culture over the last two hundred years has been the diminution of traditional Irish Mythology and races like the Tuatha Dé Danann and Fomhóraigh. Just as the Fomhóraigh have become equated with “giants” in contemporary imagery so the Tuatha Dé have been confused with the Leipreacháin and been reduced to the status of the “Little People” (quiet literally). The modern or popular image of the “Fairies” in Ireland is largely based upon a meld between concepts of the “Little People”, in the form of the more recent legends of the Leipreacháin, and 19th and 20th century English and German fairylore, with its abundance of diminutive or winged fairies, elves, dwarfs and trolls. It bears very little relation to the genuine Irish tradition and its popularity is largely as a result of the gradual erosion of native Irish culture in favour of a crude Anglo-American approximation. Leipreacháin is one of the commonest terms in late Irish and Hiberno-Irish folklore for the beings originally known as the Abhaic. From this word comes the anglicised form “Leprechauns” (sg. Leipreachán “Leprechaun”). Though a perfectly valid term in itself the association with the modern, populist imagery of Leprechauns has generally lowered the word’s standing and some now decline to use it when referring to the traditional form of the diminutive race. In this case the literary term Lucharacháin is frequently preferable. Conversely in Scotland much of the mythology around the Abhaic have contributed towards the the Anglo-Scots’ traditions of the Ùraisgean. These are a type of water-spirit (singular Ùraisg) very similar to the Leipreacháin that feature in the folklore of southern Scotland and northern England and combine Gaelic, English and Scandinavian influences as well as elements of 19th and 20th century European fairy-lore. In Scots or English they are more commonly known as Brownies, Brounies, Urisks, Hobs or Hobgoblins (sometimes Brownie is Gaelicised as Brùnaidh). Another group of beings related to the Lucharacháin are the Gruagaigh (singular Gruagach derived from the Irish word gruaig “hair, locks”, but in Scotland having the added meaning of “girl, maiden”) who feature in late Scottish and Irish folklore (and contemporary Fantasy or Children’s fiction). Though sometimes described as shaggy or hairy this seems to be something of a modern innovation and before that they were female spirits associated with cattle and milking. Their mixed nature has caused a modern identification with the Fomhóraigh, however this association is false. In fact their late appearance in the lore of Ireland and Scotland again points towards an origin in the Germanic traditions of Scandinavia, England and Continental fairy-lore mixed with that of the indigenous and folkloric traditions of the Gaelic nations. 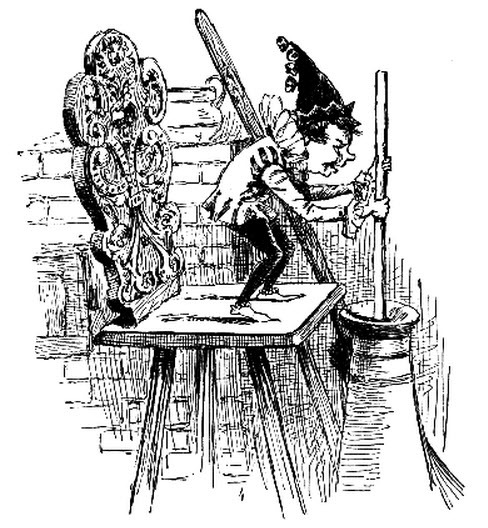 Due to some confusion or misunderstanding many modern authors and “experts”, particularly writers of Children’s fiction or populist “Guides” to the Celts, have conflated the Lucharacháin with the Púcaí, supernatural creatures of late Irish and Scottish Folklore usually anglicised as “Pookas, Phoukas, Pucas, Pucks” in English. However these two beings are quiet separate.